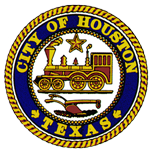 The City of Houston frequently published press releases. Stay up to date on them by subscribing to the RSS feed. Community members provide provide feedback and make requests of the City of Houston's Open Data Program. Here you can find the content of the requests and their current status.